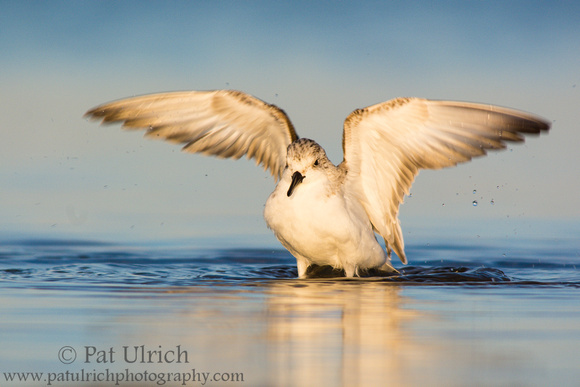 This sanderling put on quite a show while I shared the beach with its flock in October. It was great to watch it splash and clean its feathers, and it finished by standing tall and flapping its wings. I really like this image and had a hard time leaving it out of my top ten Favorite Photographs of 2014. I consider it an honorable mention, but I personally preferred the flying water droplets and splashing action of some other images from this series.